to Mr. Win Year 4 student from St. Stephen's International School, Bangkok. 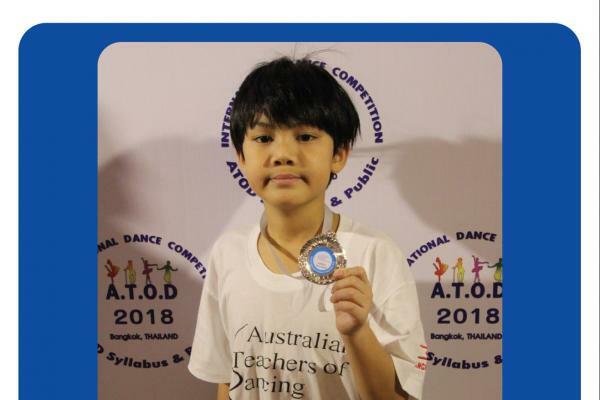 He recently competed in the Australian Teachers of Dancing (ATOD) International Dance Competition 2018, Bangkok. He won a number of medals and awards including a Silver medal from Hip Hop Level 3 Syllabus Duo. Congratulations to Mr. Win Year 4 student from St. Stephen's International School, Bangkok. He recently competed in the Australian Teachers of Dancing (ATOD) International Dance Competition 2018, Bangkok. He won a number of medals and awards including a Silver medal from Hip Hop Level 3 Syllabus Duo.